From the humble vada pav to ‘fast’ food like sabudana khichadi, Maharashtrian cuisine offers a lot on your plate, and it starts with breakfast items. In all honesty, if we had a breakfast like this every day, we would need a shoe horn to stuff food down our throat for the remainder of the day. The thing is Maharashtrian breakfasts aren’t just heavy, they are delicious, and sometimes greed overcomes normal sensibilities and that’s when the trouble begins. Keeping that in mind, we look at 5 places that will tempt your taste buds. Prakash in Dadar is bae. There’s no other way to describe the place. It’s a tiny place on Gokhale road that has lines outside just to have the sabudana vada. Unlike other vadas, this particular variant is a ball and not a disc. Apart from this, you could also try their piyush, dahi misal, poha, sabudana khichdi and puri shrikhand – all of which are divine. LBB Tip: Ask for the dahi chutney to go along with it. For the SoBo resident, Thane is aeons away and the first thing we would do is look at Obnoxious Townie Lemur to make a Thane joke. But in the case of Swad Thali, a small little place that serves authentic Maharashtrian food, we’d make that trip. While most of the food is good, the Thalipeet is great. Unlike other Thalipeets that are tiny discs, this one, priced at INR 50 per piece is roughly the size of an 8-inch pizza, which makes finishing it a challenge as well. This restaurant in Vile Parle east makes some legendary poha. The trick? A garnish of coconut at the top, which is what mom does at home. But then, it’s always nice when they do it in a restaurant, isn’t it? When we saw Aaswad at the International Airport, we were stunned, to say the least. True the food is great, but to see a restaurant with such humble beginnings set up shop at the airport and sell its wares, we feel happy. And to begin your day with a misal pav at Aaswad is just the perfect way to make things alright. 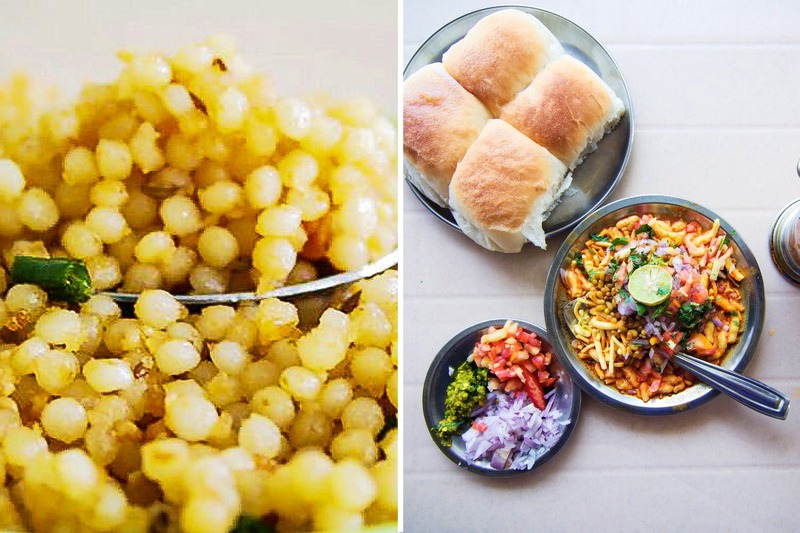 LBB Tip: Much like Joey’s affection for his sandwich, most Thane residents would gladly take a bullet for misal pav by Mamledar Misal. The very design of this pav is to test your spice tolerance. You have to pick between three levels – plain, medium and the ultimate jump to double spicy, skipping a level. Ashok truly does make a delicious snack, what with him having created another version to it too, fondly called the choora pav (he mixes the choora with chutney and stuffs it in the pav). There are many reasons why no other vada pav can match the standards this man has set, mainly because for over two decades his vada pav has consistently been tasting the same (and all old-timers can vouch for this fact). Price: INR 20 for a vada pav, and INR 15 for choora pav and single vada.